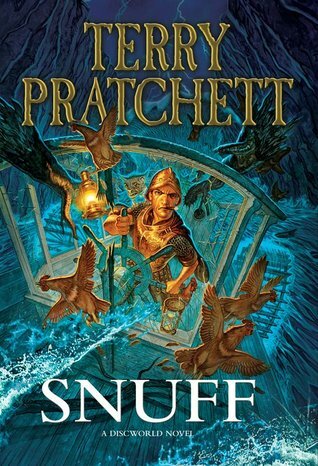 "According to the writer of the best-selling crime novel ever to have been published in the city of Ankh-Morpork, it is a truth universally acknowledged that a policeman taking a holiday would barely have had time to open his suitcase before he finds his first corpse. Yes, quite a few worried glances were cast my way, if you must know. But hey, I enjoyed the book, so who gives a flying fig what they think? I've heard other reviewers say that this book is a bit dark too. Great review though, this book is definitely going on my Christmas list!